Entertaining Elliot: Serenata Flowers Giveaway! 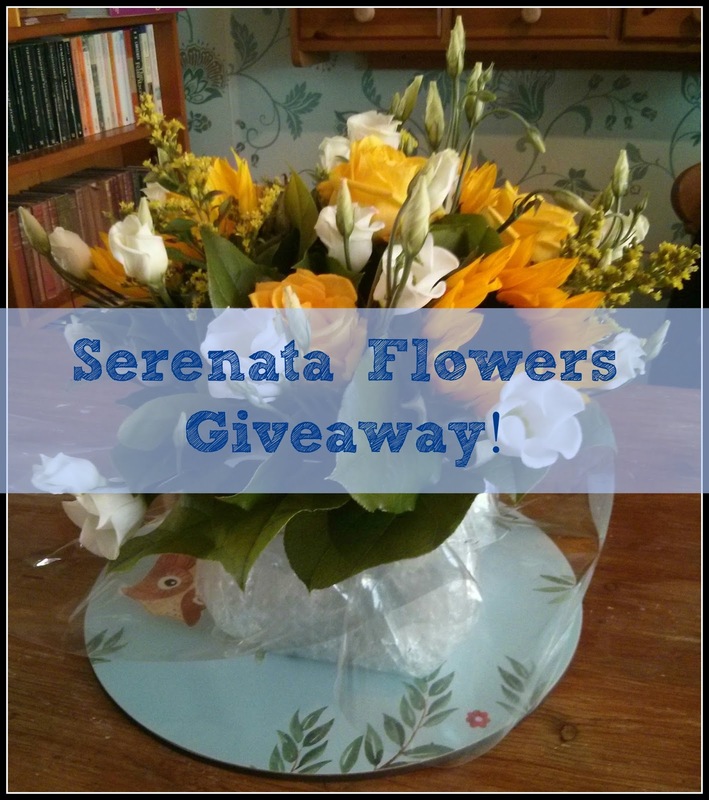 If you need to send someone a gift and are lost for ideas, then look no further than Serenata Flowers. Don't let the name fool you, they are much much more than just flowers! You can find all varieties of hampers including picnic hampers, baby hampers, beer & ale, champagne, fine food plus chocolates, wines, plants and of course flowers. 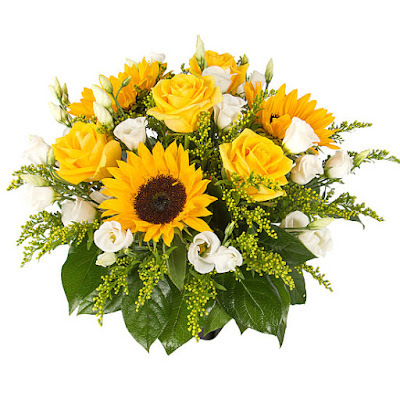 In the Flower section, if you're unsure of what to order then you can see what their best sellers are, or what the current florist choices are. You can even search under different Occasions which makes it a lot easier if you are looking for something specific such as a new baby or an anniversary. The brilliant thing about Serenata Flowers is that you can order up to 10pm and still get next day delivery - very useful if you suddenly remember a birthday! I am very happy to be bringing you this giveaway and you can win a gorgeous vased arrangement called Summer Sorbet, perfect for brightening up any room. We were sent these flowers too and I can confirm they are as lovely as they look in the photo! I love the sunflowers and the colours all go so well together. About once or twice a year. Hubby is very good at getting me a bunch of daffs when they first come into the shops as he knows I love those. I try to get them for my wife randomly rather than special occasions to surprise her! rarely, so rare when my partner buys me them I wonder what he has done! Once a year but from the supermarket, never delivered! Not nearly enough. Once every few years. Love flowers! Especially the scented ones. I am sure it was valentines 2014! hubby forgot this year! Occasionally on my birthday, I usually buy my own! Never, I'd actually be worried if hubby brought me some! Never.... It would be lovely to receive some though!!! Hadly ever, but I always like to buy them family and friends as gifts. What beautiful sunflowers - stunning! I've never received a proper bouquet of flowers before. I only tend to get flowers on Mothers Day. Only on my birthday. Otherwise, I have to buy my own. in the entire 5 years I have been with my husband he has bought me flowers 3 times! Not often enough!! My hubby rarely buys me flowers and when it does it's usually because I've given him a nudge ;-) I love them though. Not very often, maybe once a year at the most! I tend to buy them for myself, but sometimes my husband gets them for me for special occasions. Special occasions and the odd surprise from my partner, the last time was a few weeks ago for doing well in work. Hardly ever the last bunch the bf got me he got free at the Co-op as they were dead. I had some when my daughter was born, but I can't remember the last time before that. I do tell my husband not to buy me any as I prefer to get chocolate! rarely, I cant remember the last time at all. My husband buys flowers for me from time to time, he's very sweet like that! rarely - but need to give them more. Usually on Mother's Day much to my dismay! Rarely which is a shame because I love them! Never! Even though i hint all the time!